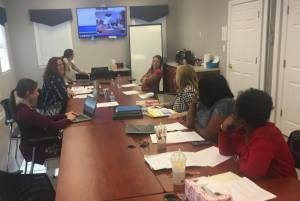 The Community Foundation is convening nonprofit staff and board leaders for local emerging leader/junior/young professional boards in Greater Richmond. We will convene individuals who oversee their organization’s YP boards to network and share best practices. We know this is a growing need, as the sector evolves, and nonprofits seek to engage a wide variety of individuals in their mission. 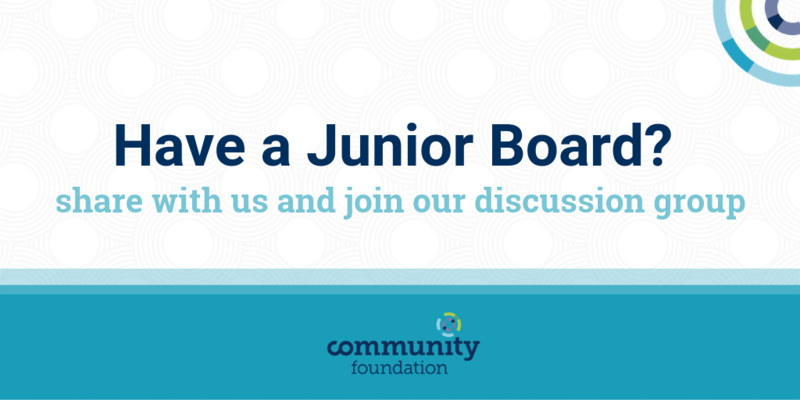 In order to organize a periodic convening and discussion group, we need updated contact information and are asking that local nonprofits with these junior or young professional boards fill out the survey below to help us frame this opportunity. Meet with a team of volunteers who will review and revise your anti-harassment & non-discrimination policies. In the era of the #MeToo movement, it is more important than ever that organizations have effective policies to address workplace discrimination, harassment, and retaliation. Every organization should have updated policies on these topics to ensure employees understand the standard of workplace conduct and the organization’s procedures for addressing violations. 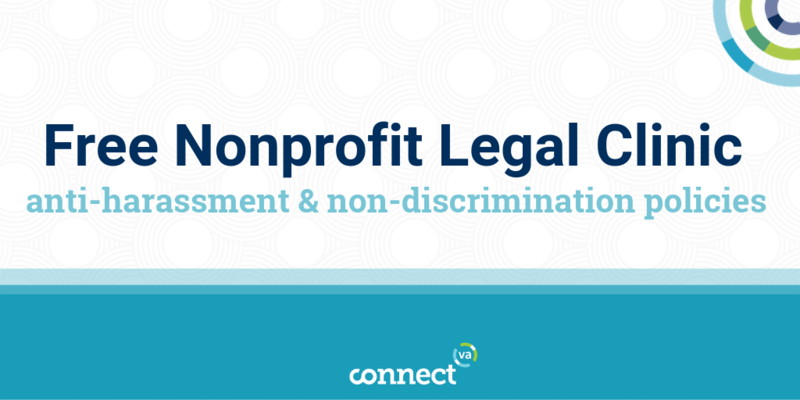 This free legal clinic offers nonprofits the opportunity to receive a review of their anti-harassment and nondiscrimination policies, or to have new policies drafted by pro bono volunteers. After participating in the clinic, nonprofits will leave the clinic with updated or new policies. The clinic will be hosted by Corporate Pro Bono, the Greater Richmond Bar Foundation, Capital One & McGuireWoods, on Thursday, May 2, 2019 from 10:15 am to 1pm. If selected, your organization will be matched with a team of attorney volunteers who will review and revise your anti-harassment & non-discrimination policies. To register, you must complete and submit the online Intake Form found here or before April 11th at 5pm. Should your organization be selected for participation in the clinic, your Executive Director, Board Chair, or other senior staff or Board Member responsible for governing or managing your organization must be able to participate in the clinic. If your organization does not qualify to participate, we may be able to offer you information about organizations in the Virginia area that may be able to give you the assistance you need. If you have any questions about this opportunity, contact Alison Roussy, Director of Administration at aroussy@grbf.org. 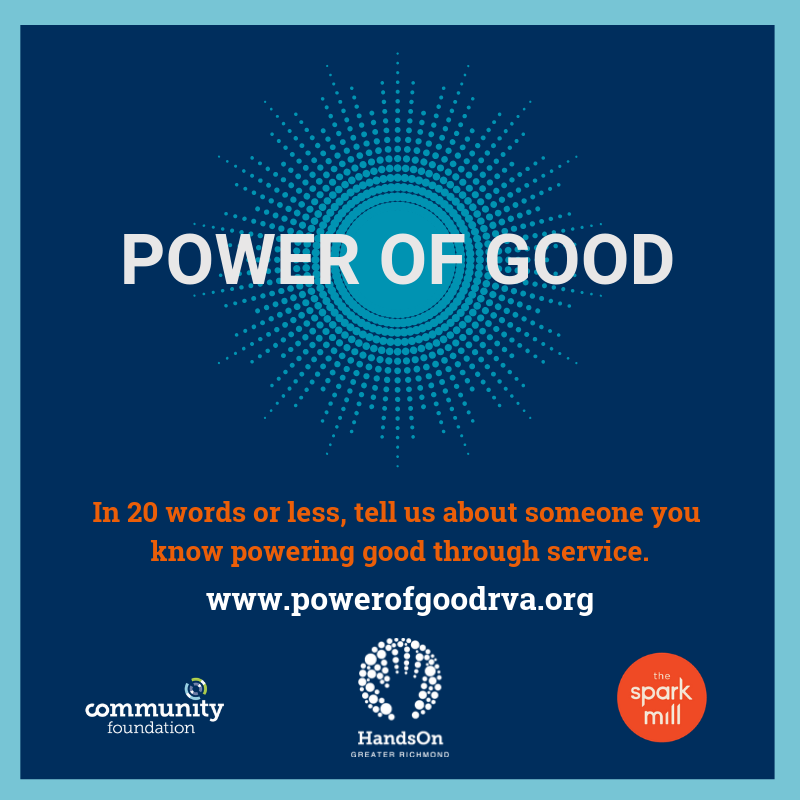 HandsOn Greater Richmond and The Spark Mill are accepting submissions through April 8th from the public about the people who are “powering good” in our community. In its 6th year, this annual recognition and celebration commemorates National Volunteer Week and is a local platform to thank those who give back. The submission process is simple, only requiring you to share “in 20 words or less” how a person “powers good in our community.” This could be a volunteer, a neighbor, a colleague, a family member or friend, and there is no limit for how many people you can recognize. Submissions are open until April 8th. Then, the people who have been submitted will be notified (it’s anonymous) and recognized at the “Power of Good” party on May 22nd in Scott’s Addition. At the celebration, those people, the organizations they work with, and the community will come together over food, drinks, and fun. Recognize: Tell us, in 20 words or less, who you know who powers good in the Richmond region. It could be a volunteer, your neighbor, a colleague, a family member or friend. You can submit as many names as you’d like by April 8th. Celebrate: Join us at the party in their honor on Wednesday, May 22, 4:30-6:30pm, in Scott’s Addition (details coming soon) where we will recognize and meet up with honorees, community organizations, and neighbors over food, drinks, and fun. Free, but tickets are required (registration coming soon). Publicize: Submit your volunteer recognition event, award, or campaign for us to share. Resources: Access volunteer recognition best practices and tools. Map: See where all the good work is being done in our region. Visit https://powerofgoodrva.org to submit a name(s) and to RSVP for the party (coming soon). Each month, the Young Nonprofit Professionals Network RVA (YNPN RVA) will be sharing highlights of their members. If you’d like to become a member of YNPN RVA for 2019, go here. Why did you join YNPN RVA and when? 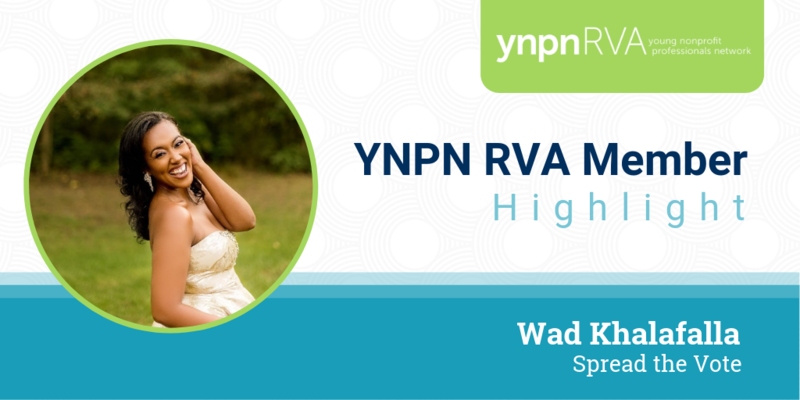 I joined YNPN RVA in 2019 to expand my network, meet people with similar views, and for career development opportunities. My background spans from working with a U.S. Congressional Delegation to local governments and nonprofits. The majority of my work has been centered around communications, but I also enjoyed my time as an Operations Manager and Strategic Business Consultant. I was recently promoted from Field Organizer to Deputy State Director at Spread the Vote. How does one answer this question? To impact masses. To live freely. To create sustainable change. Because I love helping people. I believe in standing up for injustice, and it doesn’t hurt that I get to create my own schedule. Favorite thing to do in Richmond? Go to Tuesday Verses, a local open mic night! The crowd is beautiful, the energy is light, the space is healing. If you were to take over the YNPN RVA Instagram page for a day, what would you show us? 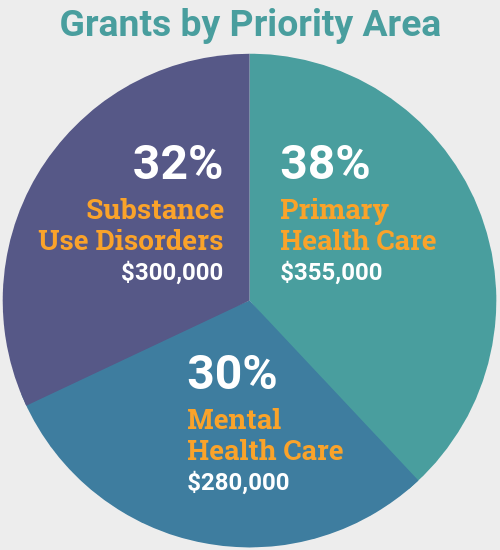 The wonderful work my organization is doing. Then there would probably be a food tour, most definitely a food tour. Maintaining balance and setting manageable goals guides a lot of Elaine Kiziah’s work. 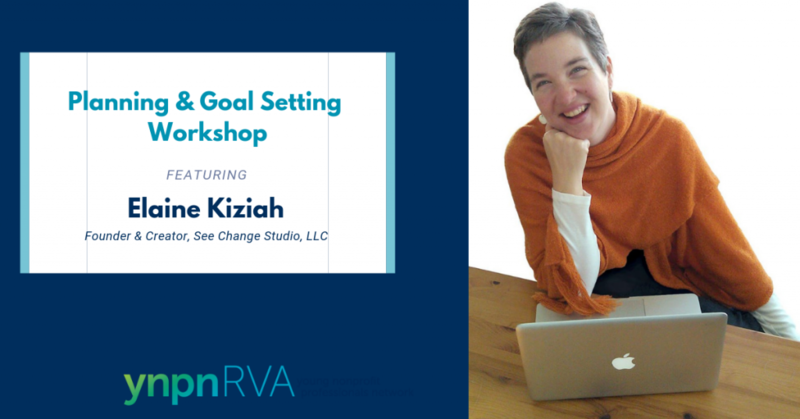 Dr. Elaine Kiziah is the founder and principal consultant for See Change Studio, where she specializes in “Eliminating Overwhelm”. 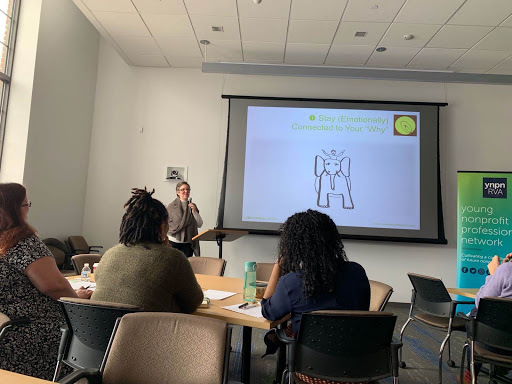 Elaine shared her strategies for setting and achieving manageable goals to help busy nonprofit professionals at the YNPN RVA Goal Setting and Planning Workshop at the Community Foundation on February 27. 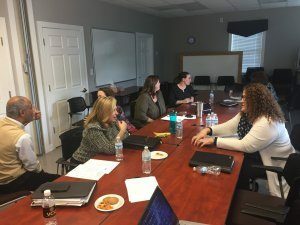 It was a full room of many eager professionals, hoping to stick to their 2019 goals. This workshop is part of an ongoing series hosted by the Young Nonprofit Professionals Network RVA (YNPN RVA) to help young nonprofit professionals build their brand, network and career in the RVA nonprofit sector. Elaine guided the group through her 10 Strategies for Realizing Your Vision. She opened with a journaling prompt that asked “How do you feel about your goal? What Makes you Happy?”, where the audience ruminated on the things that bring joy to their life. She encouraged the group to follow that happiness and let it guide your goals. 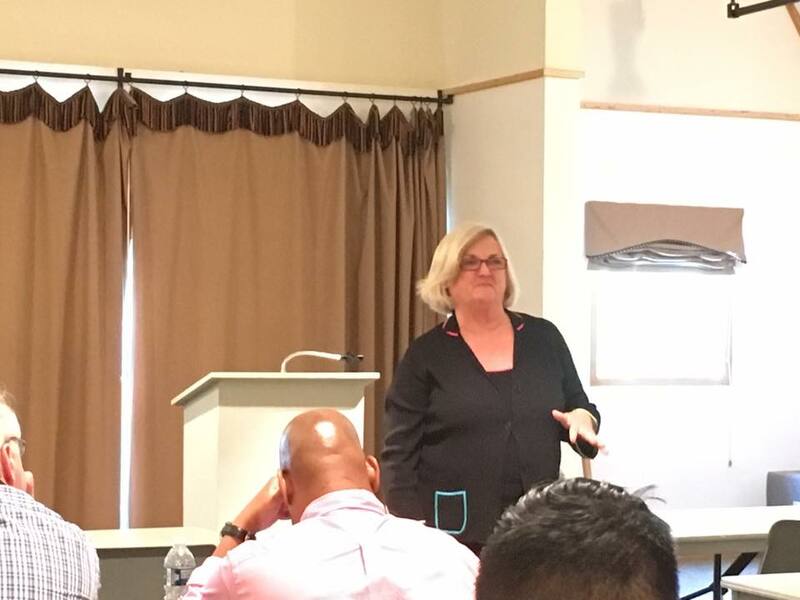 Elaine closed the session by giving the group time to go around the room and meet the other nonprofit professionals to share their goals and the strategies that most resonated with them. 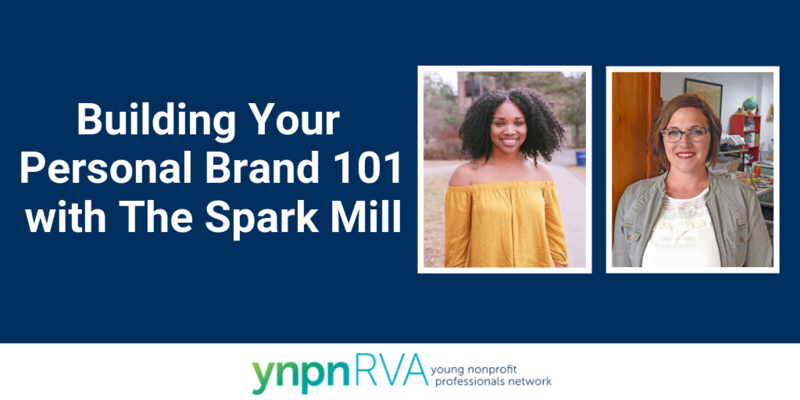 YNPN RVA’s next big event is Building Your Personal Brand 101 with the Spark Mill on March 26, 2019 at 12-1:30 p.m. at Community Foundation. Join us at this workshop, where you will hear from two local leaders on their own brand journeys (and pitfalls!) and how and why it affects your job. You’ll leave this session with a better understanding of what your brand is and practical steps for how to build it. There will also be time to network with other young nonprofit professionals. You can register here. 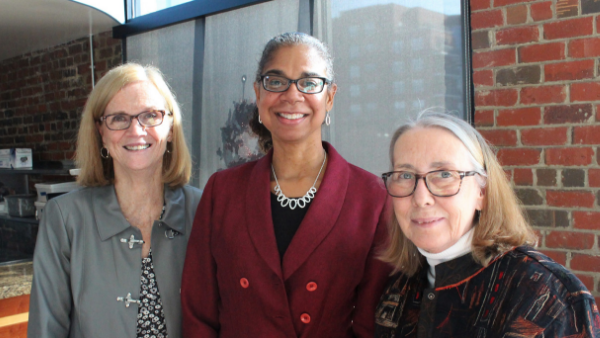 Here at the Community Foundation, we believe that funders, philanthropists, nonprofits and government agencies do their best work when they do it together. This is why we’re proud to offer a year of convening and learning about advocacy to further support the great work already being done in RVA. 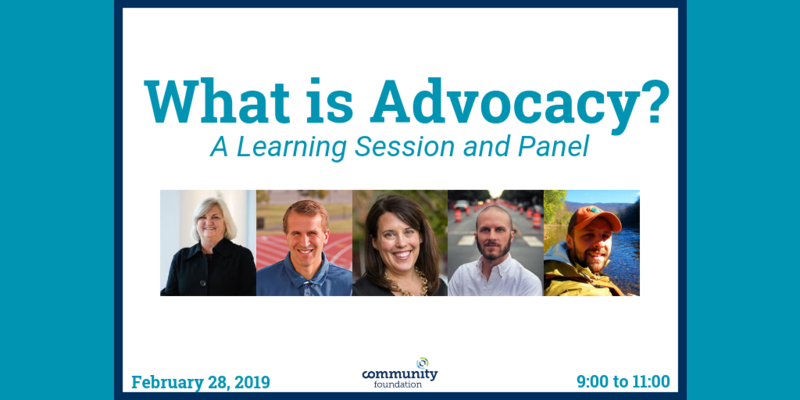 This week, we’re hosting a kick-off panel session around the basics of advocacy – what advocacy is, whether you should consider engaging in advocacy, and how you might get started. The first subsequent deep dive will be led by Sports Backers’ Jon Lugbill around the topic “How to Grow Your Impact Through Grassroots Advocacy” where he will walk through the steps of creating and running an effective advocacy program that leads to greater social impact and policy change at the local level. 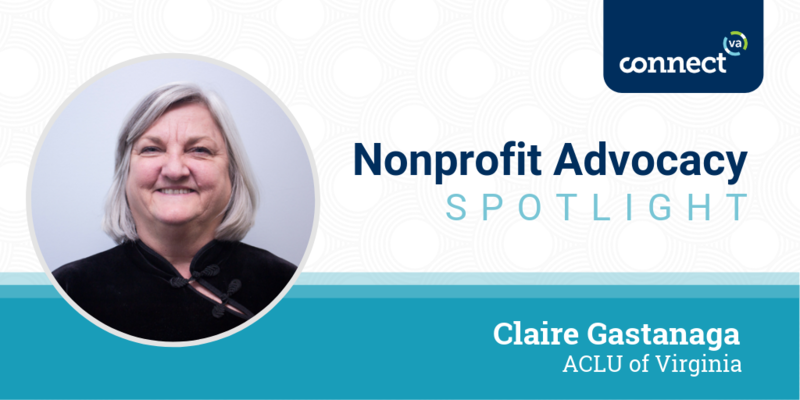 In addition to several courses throughout the year, we’re also featuring individuals in various “Nonprofit Advocacy Spotlights” on the blog. Here’s one. Bike Walk RVA – Supporting bike- and pedestrian-friendly infrastructure projects and empowering residents with the tools they need to advocate for safe and comfortable places to bike and walk throughout Richmond. Fitness Warriors – Offering free fitness classes throughout our community every week so that individuals, no matter where they live, can benefit from an active lifestyle. Kids Run RVA – Providing kids the chance to have fun while being physically active on a regular basis by supporting school-based run clubs. 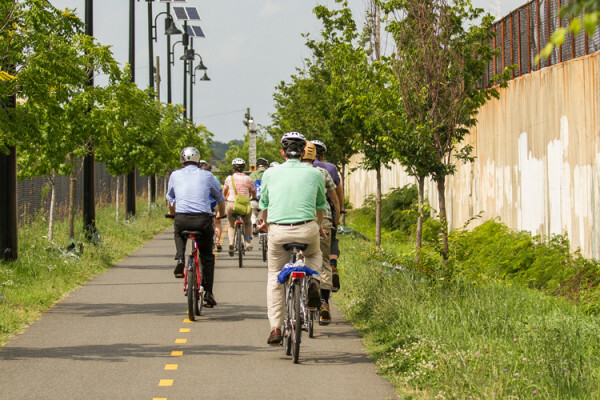 Active RVA – A regional collaborative movement that works with businesses, schools and early childhood organizations to get every corner of our community moving. Scholar-Athlete Awards – Celebrating the leadership and drive of scholar-athletes with a formal dinner and awards scholarships to 20 outstanding student athletes, 4 outstanding teams and a comeback athlete of the year. 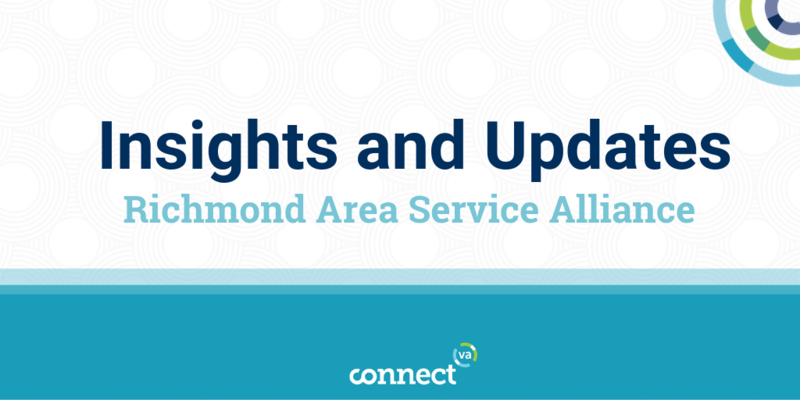 Events and Training Teams – Celebrating Richmond’s active culture by hosting events that showcase the region’s greatest attributes. 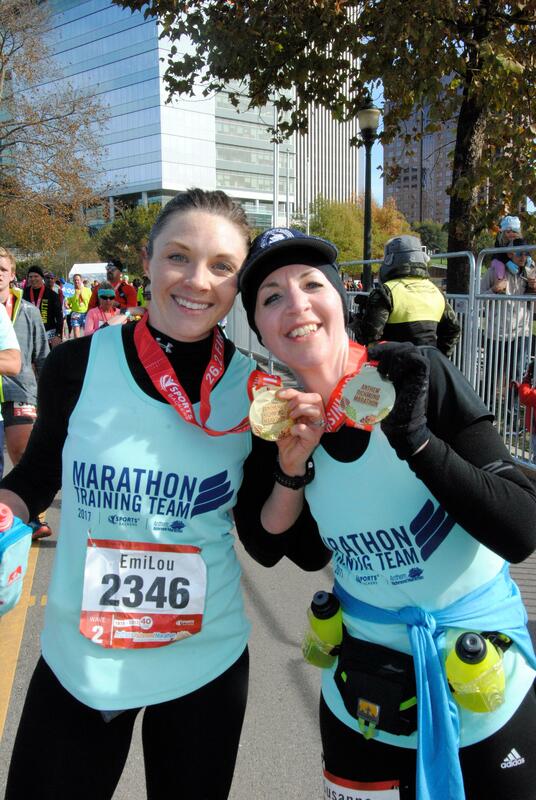 Sports Backers now owns and produces 13 events each year that include some of the largest and most successful of their kind in the country, including large-scale events like the Ukrop’s Monument Avenue 10k, Dominion Energy Riverrock and the VCU Health Richmond Marathon. 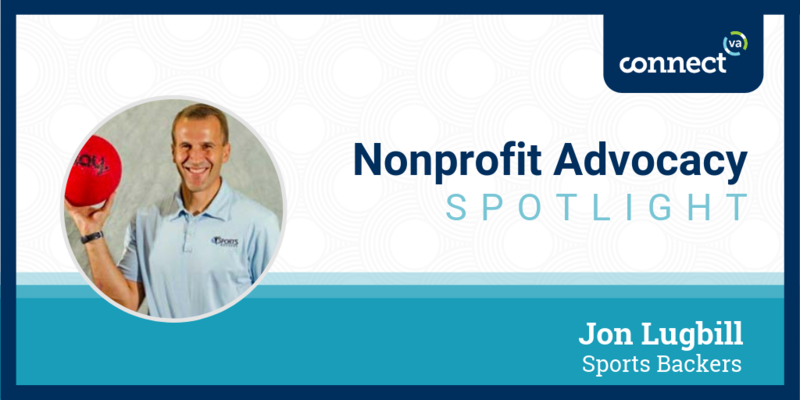 We spoke with Jon about what role he and Sports Backers play in local advocacy, and how and why other local nonprofits should consider engaging in it. Here’s what he had to say. Through advocacy, Sports Backers works to drive change in how our community provides safe and accessible active transportation options. As Executive Director, my role is hiring the right staff to work on advocacy and then working to have funding to support the program. I’m personally involved in legislative advocacy where I talk directly with elected officials to solicit their support for policies and funding for walking and biking infrastructure. 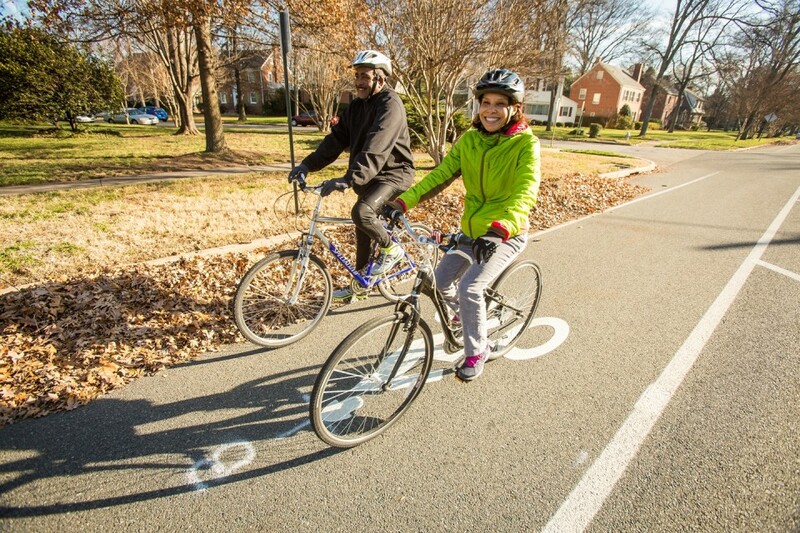 Our Bike Walk RVA program staff leads the grassroots advocacy work directly. They work to organize the 40,000 people who have agreed to help support biking and walking infrastructure in our region. I’m involved in providing support and encouragement for our program staff and volunteers’ main activities. I show up for meetings, receptions, gatherings and biking/walking events to show our support for advocacy. I also work closely with our Board of Directors to keep them informed of our advocacy efforts and help them stay engaged. This way, when we run into opposition for our advocacy work, we have the Board of Directors behind us and not causing us to buckle under political pressure. 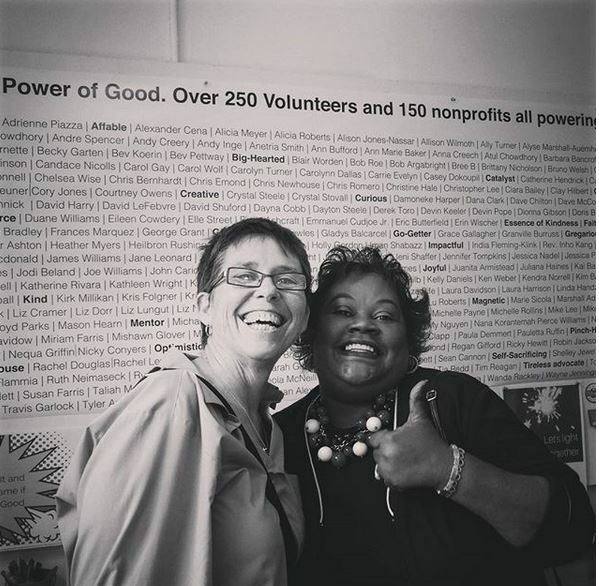 High-performing nonprofits keep the impact of their activities at the forefront of their work. Check out this article by the Stanford Social Innovation Review that shows how real social change happens when organizations go outside of their own walls and find creative ways to enlist the help of others, one main way being advocacy work. It’s amazing how much impact you can make if you don’t care who gets the credit. The amount of philanthropic giving in our community is limited, but changing government policies or procedures might do more to impact people in our community than programs or services. As nonprofits, should we just keep trying to provide solutions to outdated government policies or procedures? Through advocacy we can go to the source and change the laws that are causing the unfortunate community outcomes. And, as subject matter experts in the field, we can provide knowledge and insight that government staff might not have. Nonprofits can directly drive support for their mission and turn people out to support policy change, whereas government tends to follow the lead of their constituents. The overall impact of Sports Backers has grown dramatically by leveraging our impact through advocacy work with local governments. When we first started doing advocacy work around biking and walking infrastructure in 2011, the local governments were only spending $1-2 million per year, including state and federal grants. Five years later, that number has jumped to $15 million and is climbing quickly. 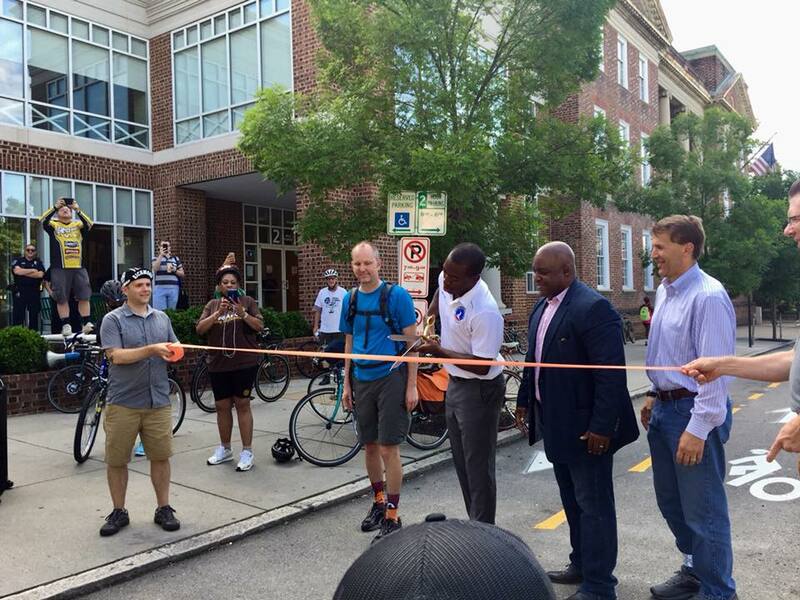 This was accomplished with an annual Bike Walk RVA program budget of only $350,000 per year. The return on investment by the community is incredibly leveraged compared to Sports Backers trying to raise the funds to build bike and pedestrian infrastructure with philanthropic funds. Ultimately, the reward is changing the lives of the hundreds of thousands of people that use this infrastructure on a regular basis and live healthier and more productive lives. Claire Gastanaga joined the American Civil Liberties Union (ACLU) of Virginia as its Executive Director in June 2012, bringing with her decades of experience as an attorney, lobbyist, nonprofit leader, and fundraiser. Among many honors and awards, in 2010 she was named as one of the 50 Women of Influence in Virginia. Claire worked for the decade before joining the ACLU as a lobbyist for Equality Virginia, the Virginia Coalition for Latino Organizations and the Virginia Sexual and Domestic Violence Action Alliance. She has been a key player in state government, serving as Chief of Staff and Special Counsel to the Speaker of the Virginia House of Delegates and as the first woman Chief Deputy Attorney General of Virginia. The ACLU of Virginia is a private, non-profit organization that promotes civil liberties and civil rights for everyone in the Commonwealth through public education, litigation and advocacy with the goal of securing freedom and equality for all. 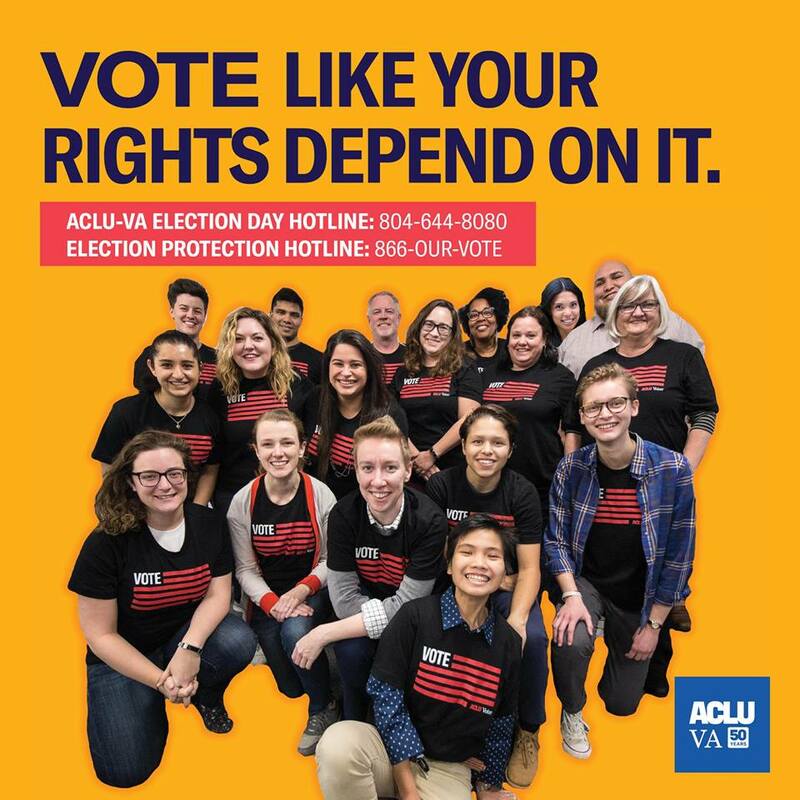 The ACLU is non-partisan and doesn’t engage in electioneering on behalf of any candidate or candidates at the local, state, or national level. In addition to the litigation for which the ACLU has been best known, they also educate the public, inform the media, lobby legislators, organize grassroots activists, and disseminate information about constitutional freedoms through membership and volunteers. Read more about Nonprofit Advocates, Emily Griffey with Voices for Virginia’s Children, Ross Catrow with RVA Rapid Transit and Justin Doyle with the James River Association. What is nonprofit advocacy? Whether you know the answer, think you know, or have no idea – this free panel session is for you! 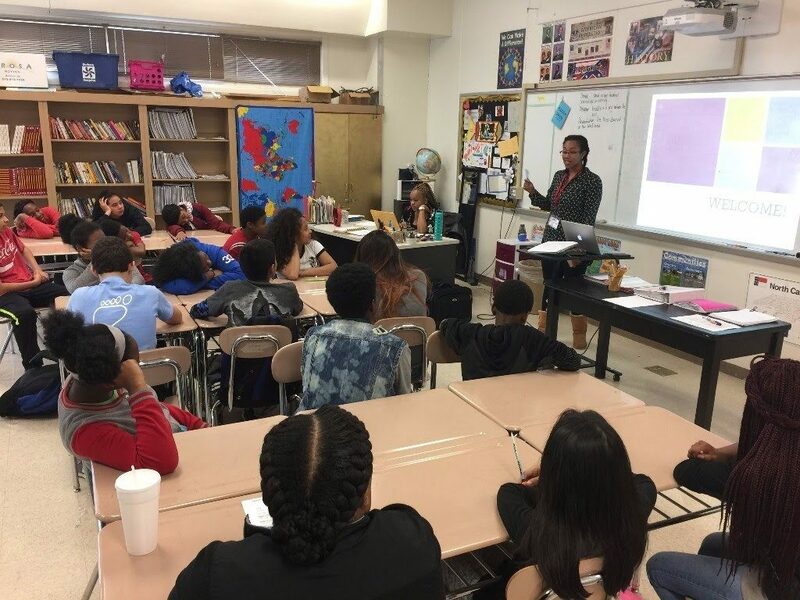 From educating the public to lobbying on Capitol Hill, advocacy plays a vital role in the nonprofit sector. Come learn more about this topic and related legal, social, and practical guidelines and impact as we “kick off” our advocacy convening and learning for the year. The James River Association’s (JRA) mission is to be the guardian of the James River, providing a voice for the river and taking action to promote conservation and responsible stewardship for its natural resources. JRA monitors the river, responds to problems, seeks policy changes, and implements on-the-ground projects to restore the river’s health. 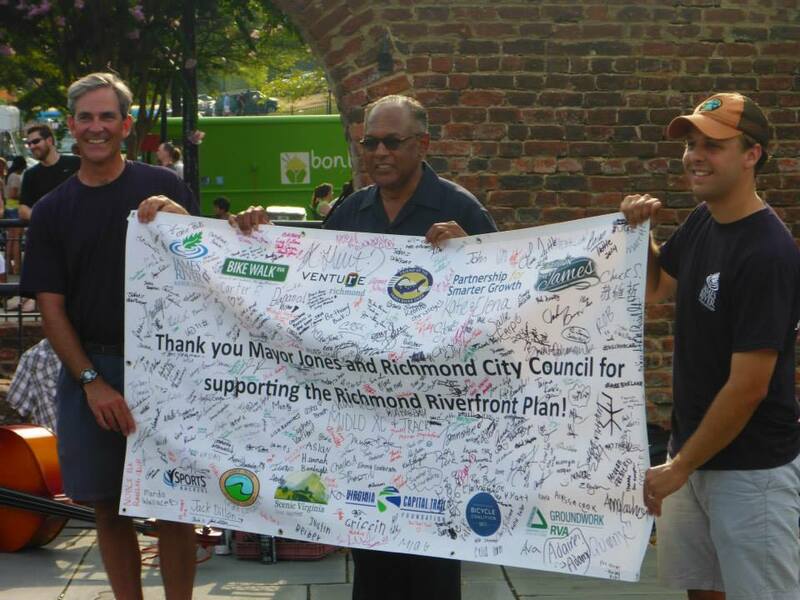 They protect the River through Watershed Restoration, James Riverkeeper, and River Advocacy programs. They also help communities benefit from the river by increasing river access, supporting river-related events, and implementing volunteer projects. As the James River Association’s Community Conservation Manager, Justin Doyle promotes conservation and responsible stewardship of the James River and its natural resources across the watershed through a variety of programs and projects. 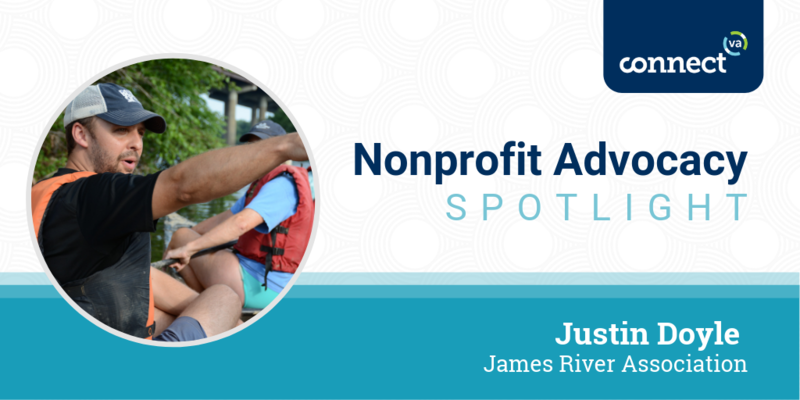 Justin champions the expansion of recreational access to the James River and its tributaries. His advocacy work typically occurs at the local government level, working with other organizations and local governments to provide a voice for the River on important policy issues. He also manages the James River Association ‘s Community Conservation Program. 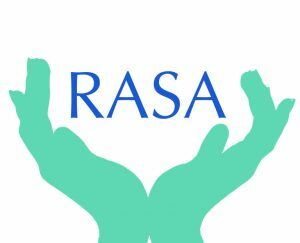 Read more about Nonprofit Advocates, Emily Griffey with Voices for Virginia’s Children and Ross Catrow with RVA Rapid Transit.